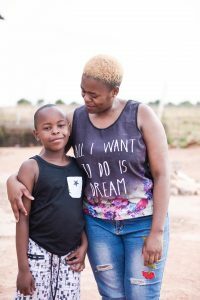 SBAHLE ZWANE, the 10-year old from Lehae in Soweto who went viral for firing off answers to difficult maths multiplication questions while being videoed by a police officer, has done more than impress the public with his ability for numbers. Its all sharp, sharp. Soweto’s little maths genius Sbahle Zwane (Mangethe his clan name) broke the internet after giving answers without using a calculator that went viral and prompted Curro Academy to offer him a scholarship. He’s now secured a scholarship from the biggest independent school operator in South Africa, Curro Holdings, for himself, as well as employment for his mom, Mbali. Curro, which will be opening a new school in Soweto in 2019 – Curro Academy Protea Glen, has offered Sbathle a place at the school, which will accommodate learners from Grade RR to Grade 9. The independent schools group made contact with Mbali Zwane after hearing her comment in a News24 video, mentioning how she wished she could afford to give her son a private school education to get the best possible support for his gift, as well as access to smaller classes so he can perform better in other subjects. “Maybe he might get exposure and as time goes by, who knows, there might be someone watching who can help get him into a good school,” she says in the video. Curro fulfilled her wish, and Sbathle will begin grade 5 at Curro Protea Glen in January 2019. Curro has also offered Mbali a job at the school. Moms wunderkid. Sbahle and unemployment Mom Mbali Zwane, who will be employed soon, thanks to his son. Mbali is thrilled. “I’m feeling so excited – I’m overwhelmed,” she says. 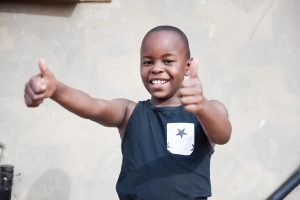 Sbahle is excited that his new school will offer him more opportunities to get involved in sport, which he loves. Mbali says that her son dreams of becoming a pilot one day, although she laughs that children tend to change their minds often about what they want to do when they grow up. But the job opportunity for her may help her unlock her own dreams too. It has been brought to our attention that boy’s uncle is a maths genius.